Ohio’s Plaguewielder made an eye-opening debut with their 2015 album Succumb To Ash on Dullest Records. They followed that last year with a single named “Writhing In Mental Torment“, which I had some positive things to say about, and just a few days ago they released another new single, “In Depths of Cold Hell“, which is a prelude to a new album entitled Surrender To the Void that will be released on August 12th. 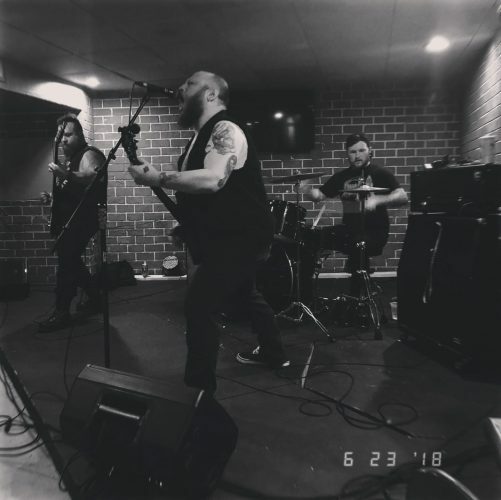 Originally formed by guitarist/vocalist Bryce Seditz (who also performs synths on this new song) along with drummer Cody Cooke, Plaguewielder is now a three-man wrecking crew with the addition of bassist Daniel Kuntz. 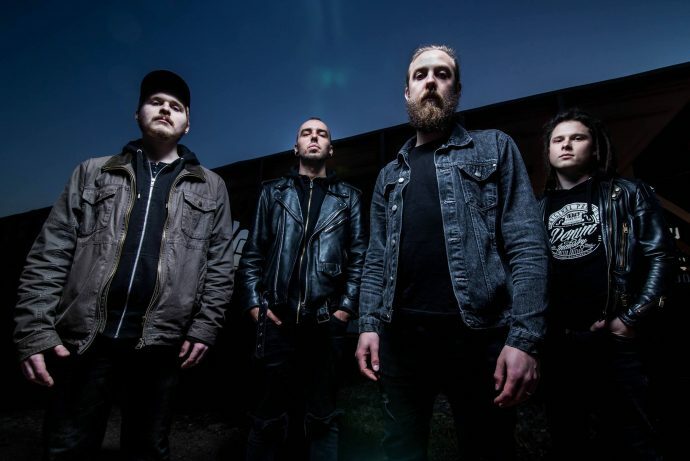 The dynamic new song’s lyrics, voiced in a scarring howl, are terrifically bleak, and furious in their display of disgust, while the music is a massive head-mover that lumbers, lurches, and surges into a ferocious charge. The rhythm section’s battering and jolting provide the anchor for an onslaught of hammering and ripping riffs, as well as a gliding keyboard melody at the end that gleams with a kind of beautiful sorrow. 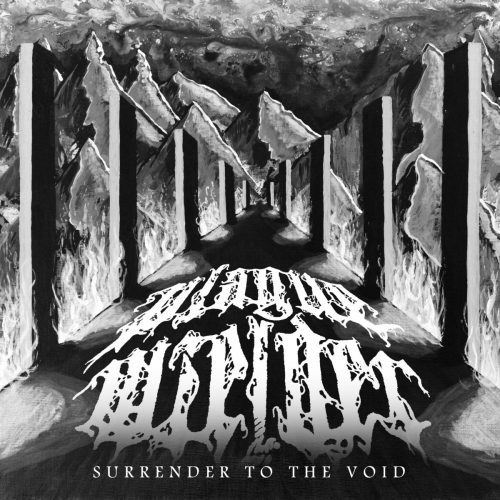 Surrender to the Void will be made available for download on Plaguewielder’s Bandcamp and it will get a limited run of digipaks through Fragile Branch. August 12th is the release date; the new single is available on Bandcamp now. For more info on Plaguewielder, follow their Facebook page. Four years have passed since this Lithuanian/Dutch melodic death metal band released their last album (Imbalance), which is a long time, but not quite long enough to create amnesia about how enjoyable their music has been. They have a new album named Into the Light that will see the light later this year, and about 10 days ago they released a music video for a track from it called “Shout It Out Loud“, which I discovered thanks to a tip from Andy Synn. There are some pleasingly punishing grooves in this turbocharged track (and some jolting stop-start movements as well), with explosive low-end potency and some big, rapidly chugging riff-work that compel head movement. The vocals are savagely raw, and the song includes a burst of nasty tremolo-picked, piranha-like feeding frenzy to add a further element of barbarism to the attack. I haven’t seen an official release date for the new album. Following the band on Facebook might allow you to discover that when it’s announced, if the Facebook algorithmic overlords decide you will be permitted to see it, which of course is a big IF. 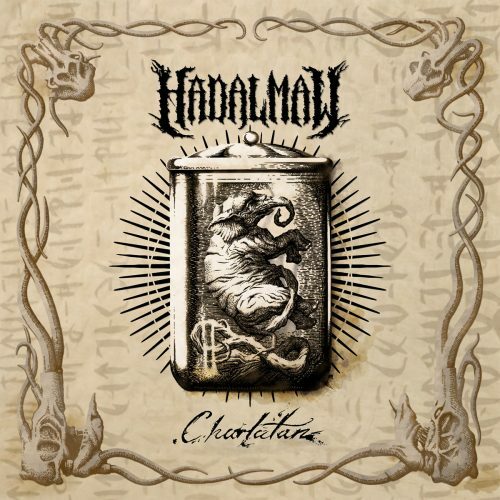 Thanks to a tip from Rennie (starkweather), I learned that the Australian death metal band Hadal Maw have released another new song from their forthcoming five-track EP, Charlatan, which will be released on August 3 (and can be pre-ordered now). The new track, “White Elephant“, is anchored by a through-line of slightly off-kilter Meshuggah-like groove, alternating with doses of pile-driving ferocity that are skull-cracking in their impact. Little wisps of eerie melody and freakish guitar discharges surface in a song that’s mainly a physically powerful beating, adding elements of ominous darkness, incipient derangement, and otherworldly alienness to the barrage, while the vocal displays are unhinged in their fiery fury. The Ævangelist duo are now separated by an ocean and about half a continent, but apparently haven’t stopped collaborating. The fifth Ævangelist album, Matricide in the Temple of Omega, has been completed, and will be released this fall by I, Voidhanger Records. On Sunday the band revealed the first advance track, “Omen of the Barren Womb“. This is a long one, topping 13 minutes. Wild, hallucinatory streams of swirling guitar and shimmering synths generate an atmosphere of incandescent madness above a groaning low end and martial snare patterns that come in rapid bursts (along with eruptions of blasting). That atmosphere of madness is enhanced by the changing vocals — bestial roaring, synapse-snapping shrieks, spoken-word passages, spectral wailing. The music burns, flickering and shimmering in orgies of ecstasy or lunacy, with a deep, rising and falling, head-nodding bass line at times providing the only tether to solid ground. The combination of all these textures, twists, and turns has the effect of spinning and spiraling the listener’s mind up and out, and may drive you out of your mind as well. 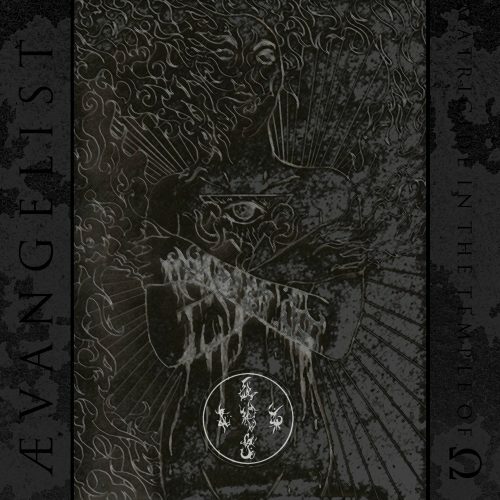 In other news, yesterday Ævangelist released (without warning) a compilation album named Veneration of Profane Antiquity, which includes one new song, a regular opening staple of their live performances, a selection of songs from throughout their entire discography, and cover art by Matron Thorn. It’s a “name your price” download at Bandcamp (see the link below). I haven’t had time to check it out yet, but definitely will — as you should. Huh, I had somehow missed that Aevangelist were now a trans-Atlantic band. Good to see the space/time distance hasn’t affected the quality of their music though!